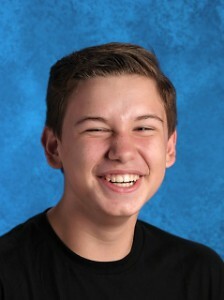 Home/News/Good luck, Nathan Jackson, in the 2019 Mohave County Spelling Bee! Junior Academy-8 student and Telesis Spelling Bee winner, Nathan Jackson, will compete in the Mohave County Spelling Bee tomorrow, January 18th! It takes place in Kingman, AZ at 6pm. The event will also be live-streamed!